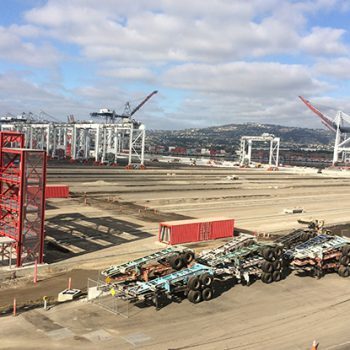 The Berth 142-143 Backland Improvements Project is part of the automated container terminal program at the TraPac terminal in the Port of Los Angeles. 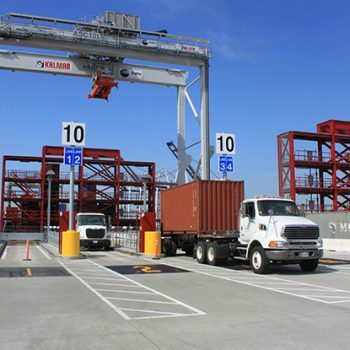 The automated terminal improves the efficiency of cargo and container handling, reduces the emissions of greenhouse gases by switching to electrical carriers and cranes, and decreases terminal operating costs. 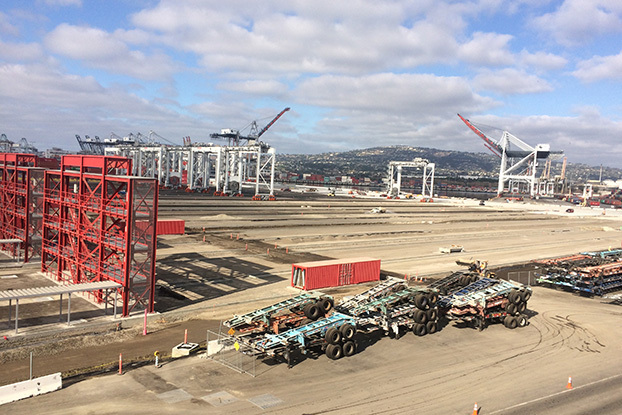 Fifteen individual blocks were constructed to stack incoming containers and to load the trucks’ chassis. 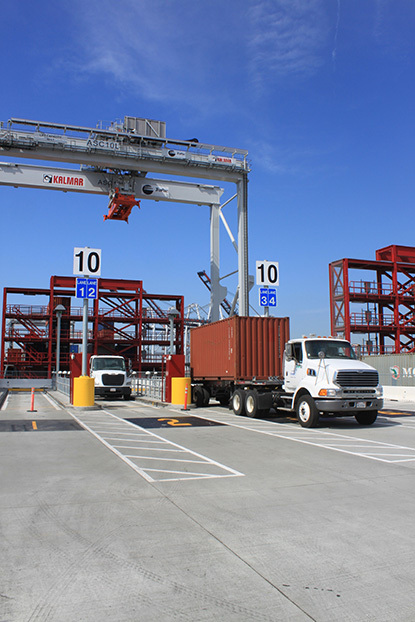 Shipping containers are unloaded from a ship and the automated terminal moves, stacks, sorts, and loads containers onto trucks for transport. 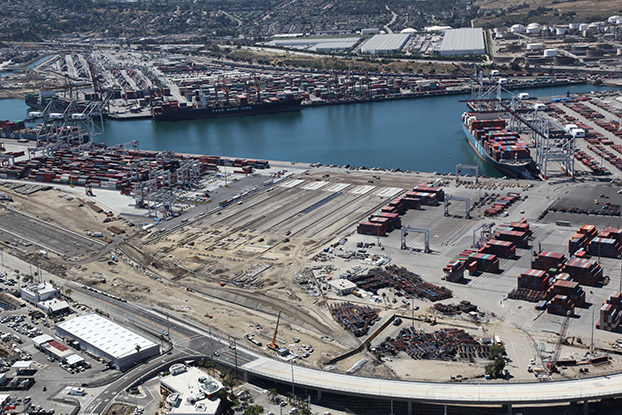 Work consisted of earthwork, grading for hardscape and asphalt paving over 72 acres. 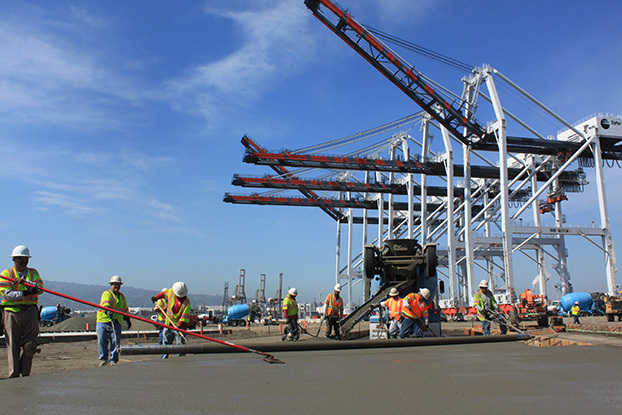 The underground water distribution system included 103 fire hose outlet connections, 17 fire hydrants, and 19,000 Lf of 6” to 24” water line. 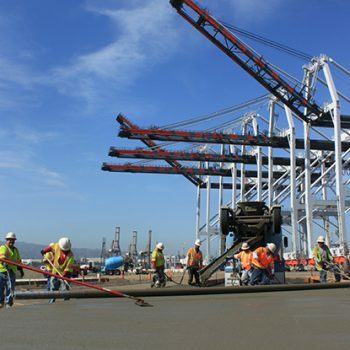 The drainage system included 5,700 lf of 12’’to 24” RCP, 12,000 lf sand filter sub drain system and multiple catch basins. 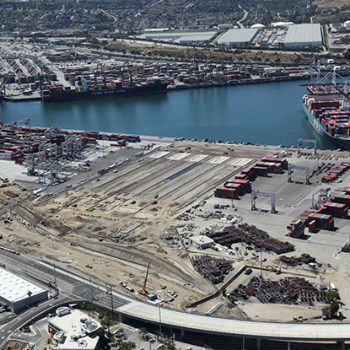 The concrete work included electrical substations pads, concrete pavement, curbs, sidewalk, and all structural foundations, and installation of the pedestrian guard railing and bollards. 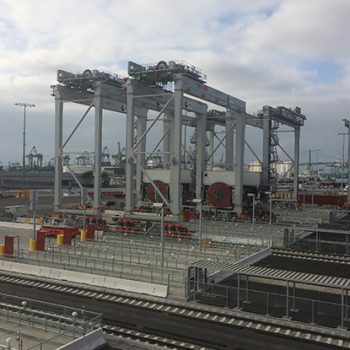 We also installed the new electrical infrastructure and proponents, switchgears, transformers and high mast light poles required to energize and light the entire terminal. 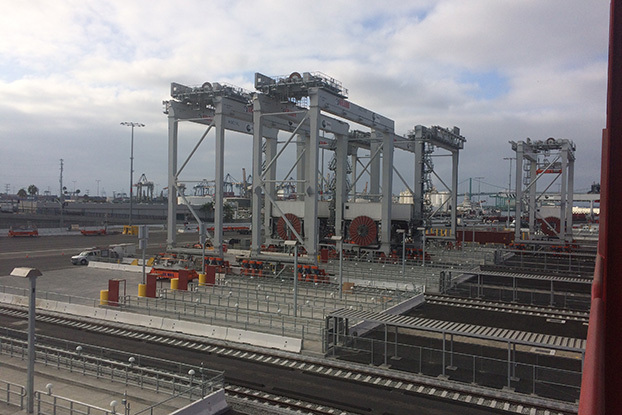 In addition crews installed the crane rail systems at each block, which consisted of installation of ballast, crane rail, precast concrete ties, and crane stops.